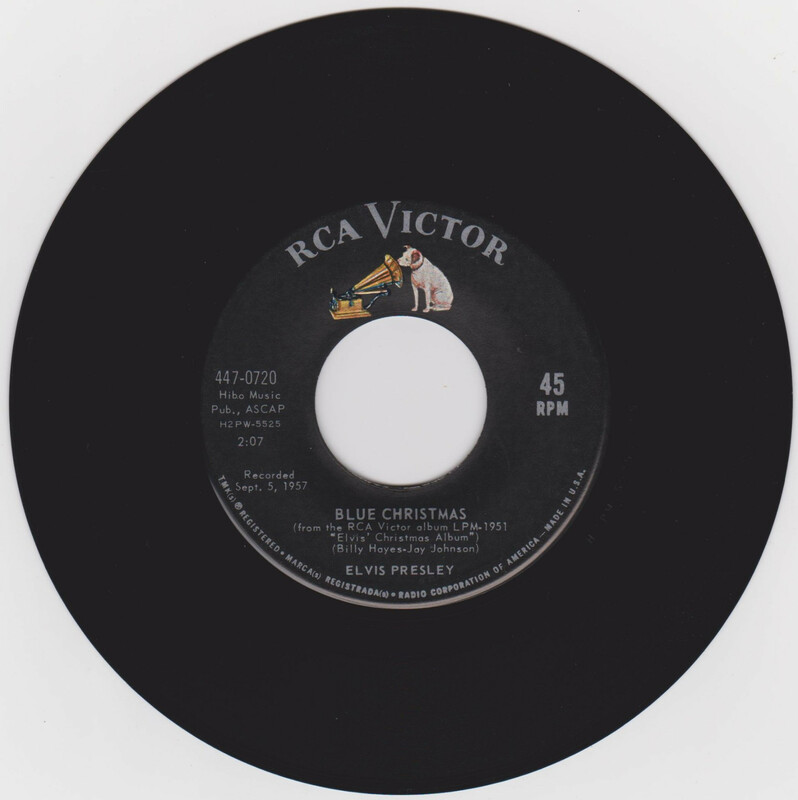 Brief History : Blue Christmas was recorded September 05th, 1957 at Radio Recorders Studio, Hollywood & Wooden Heart was recorded April 28th, 1960 at RCA Studios, Hollywood. 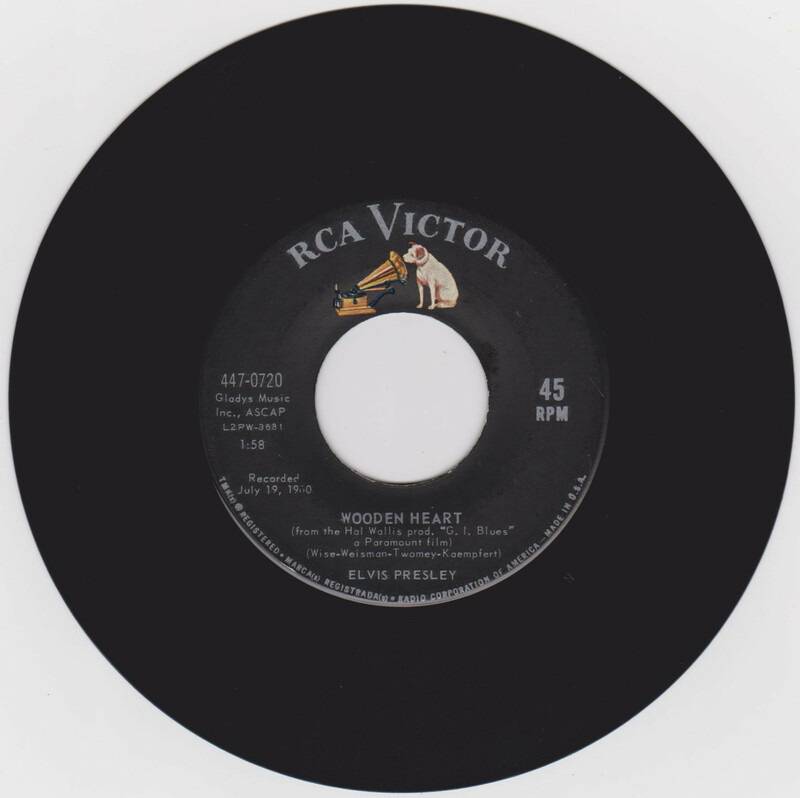 This was only the second time to date that a Gold Standard Series release was not a reissue. 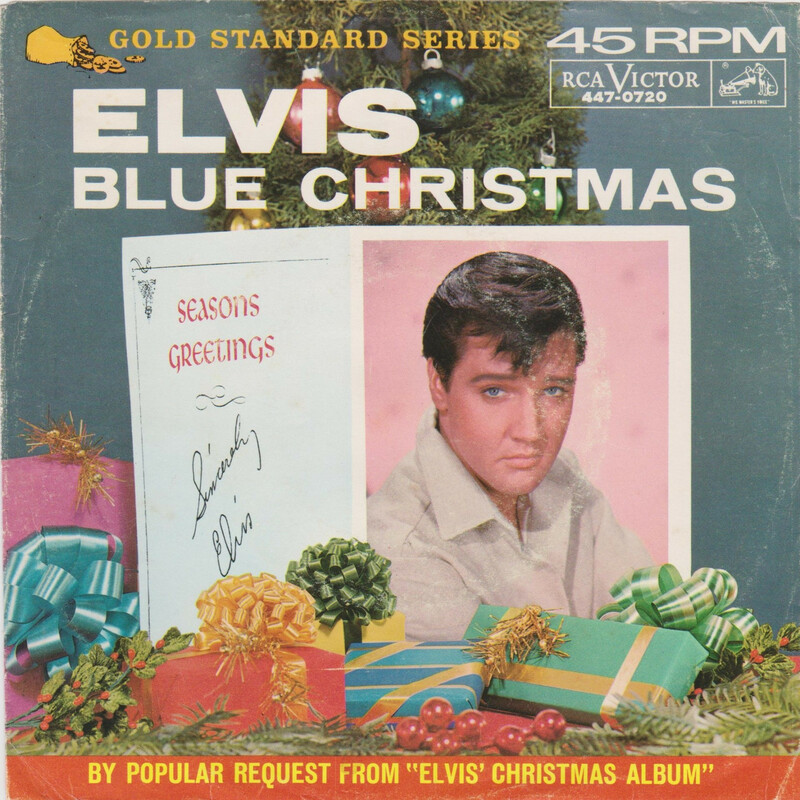 *NOTE* By Popular Request From Sleeve "Elvis' Christmas Album". What you see regarding the Catalogue Number is correct. This was released before GSS 447 - 0643. 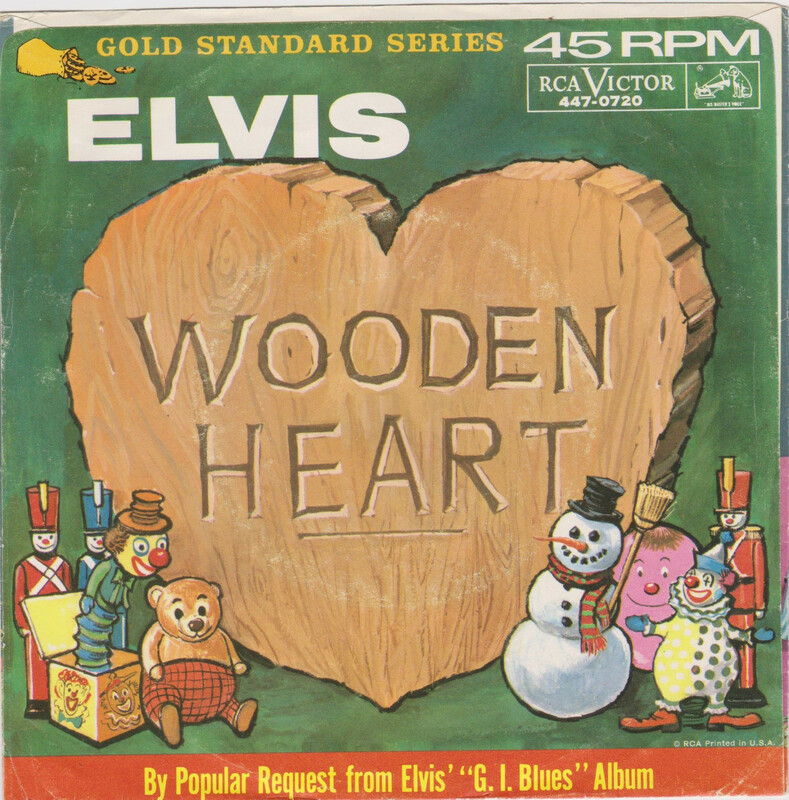 Blue Christmas would be released again as a Gold Standard Series the following year but with a different song to Wooden Heart on the other side.